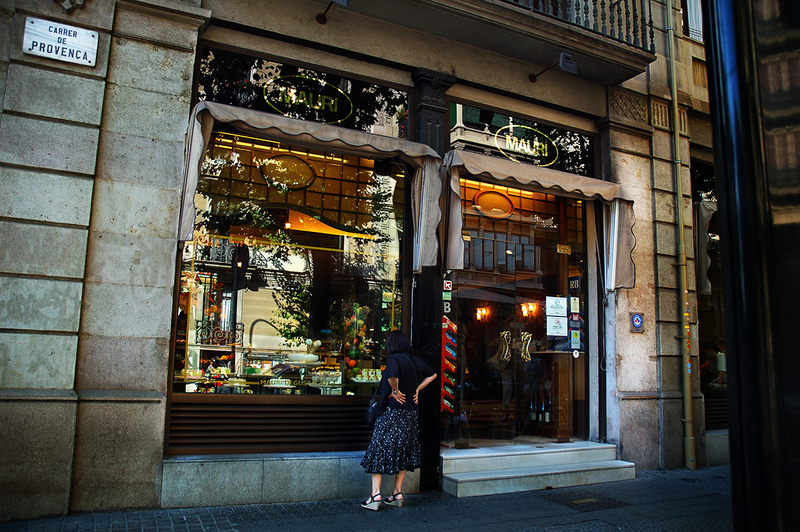 Mauri pastry shop on the corner of Rambla Catalunya and Provença is one of the best pastelerias (pastry shops) in Barcelona. Founded by Francesc Mauri in 1929 who owned Núria Restaurant one of the most emblematic at the beginnings of last century, Mauri was in the core of the most elegant and exclusive area of L'Eixample quarter. In 1955 it had to be restored after the damage caused by a fire. Although the founders had died some years before, the family kept the business going adding other services apart from traditional pastry and confectionery. A chocolate shop with tea room was inaugurated in 1978. In 1985 they opened up a delicatessen with catering and a restaurant. Although the price matches the uniqueness of the place Barcelona Photoblog highly recommends it not only for the offer but also for the epoch's modernist architecture which is well preserved. I should have gone in this place. We enjoy good pastries and breads.